If those holiday gift cards are burning a hole in your pocket, a good circular saw is something you really shouldn’t be without. 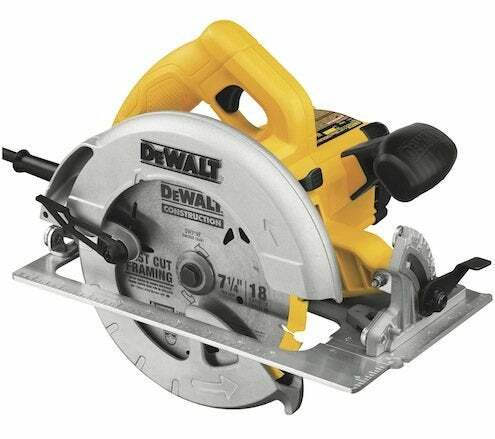 A circular saw goes anywhere you go, and with the right blade, it can cut through just about anything. The go-to tool for ripping and straight-cutting plywood, foam, PVC, and lumber on the fly, a circular saw has a blade that can also be adjusted for bevel and compound cuts. It’s not as precise, but it can take the place of a table saw on many jobs. Change to a metal cutting blade and your can go through metal roofing and sheet metal, and with a $25 diamond blade and a garden hose, you can even cut stone and masonry. Just make sure you’re plugged into a GFI outlet to be safe. Speaking of safe, circular saws are known for sending sawdust and chips flying, so never operate yours without safety glasses, gloves, and long sleeves. They’re not quiet either, so hearing protection is also important.